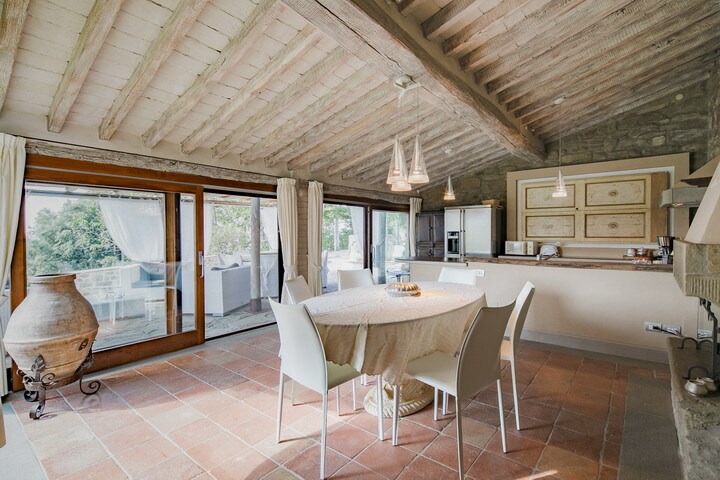 If you are looking for an exclusive location where time seems to stand still, welcome to Villa Alma. 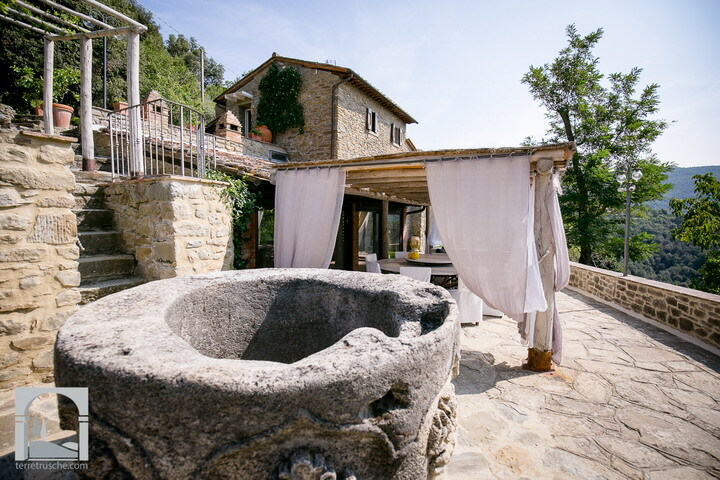 Situated on the Cortona hill, with a breathtaking view on the valley, this villa will ensure you an unforgattable vacation. 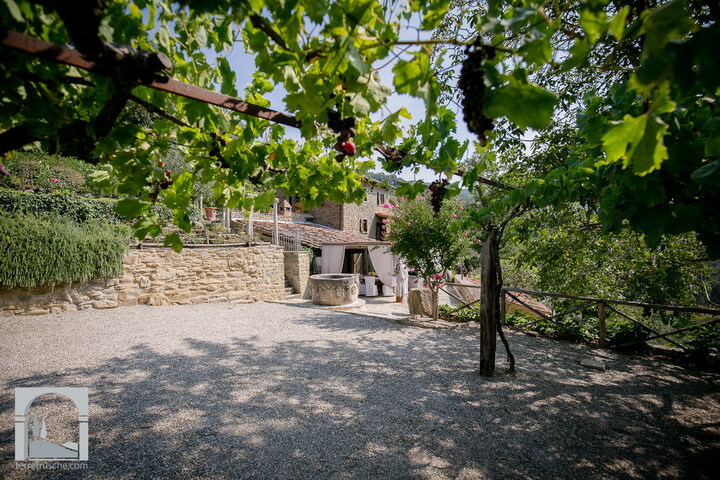 A charming cherry tree-lined drive leads you to the newly restored two-storey stone building, ideal for sleeping 8 people. 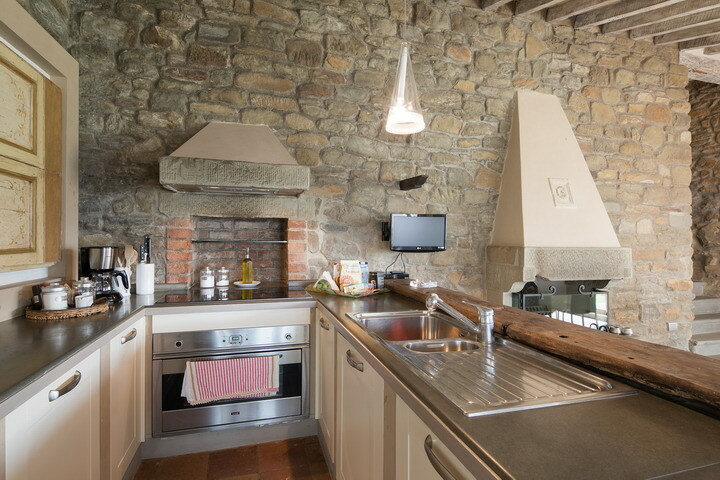 If you like cooking and you wish to discover the secrets of the deliscious Italian cookery, a fully equipped professional kitchen is waiting for you. The big windows make the dining room bright and cosy. 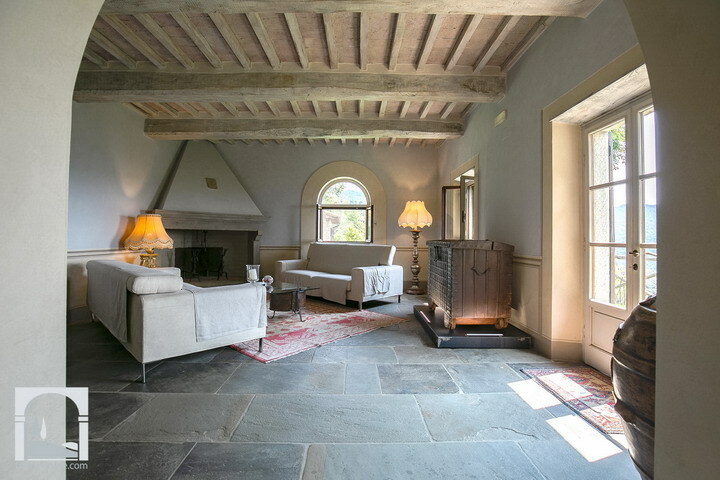 This comprises also a very elegant sitting area with satellite TV, hi.fi and fireplace. 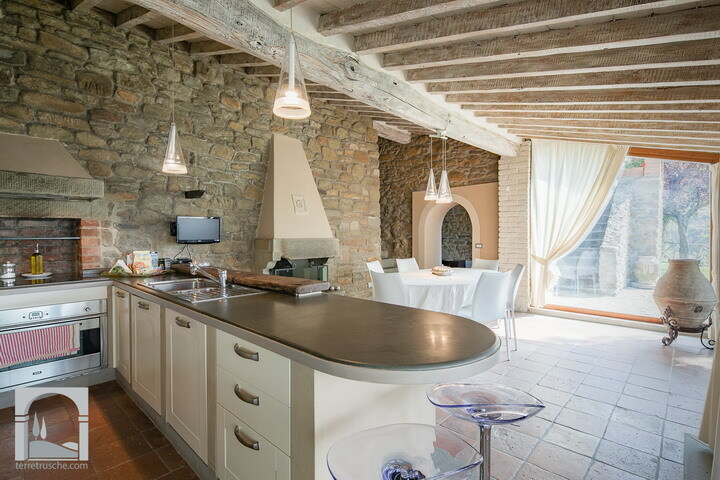 Next to the dining room lies a beautiful studio and the suggestive cellar of the house. 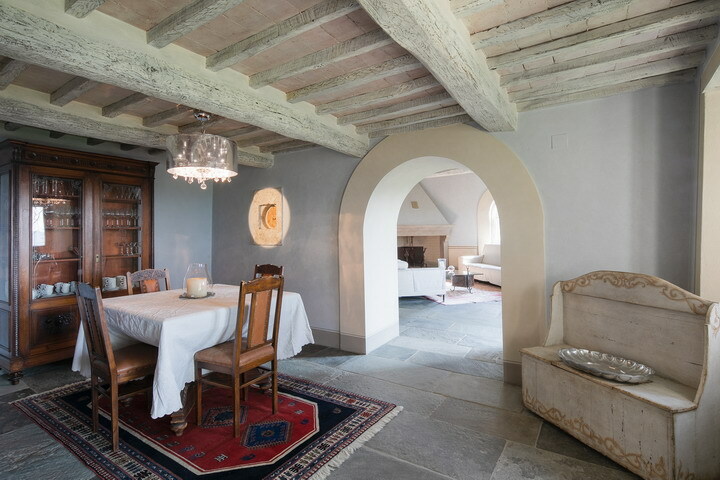 From the studio, as well as from the garden, one can access a beautiful dining room with a wide table which can host all the guests of the house as well as another large sitting room with fireplace. The second floor is made up of a cosy sitting room with fireplace, two double bedrooms and a shower-room. A staircase leads up to the suite for two which has a big wardrobe and a wonderful bathtub, a wide TV screen and a stereo. A charming annex hosts a spacious double bedroom with shower. A sauna and a laundry room are also available for the guests. The swimming pool is equipped with changing room and bathroom with shower. The owners took care of every detail and furnished the house with fine antique pieces. 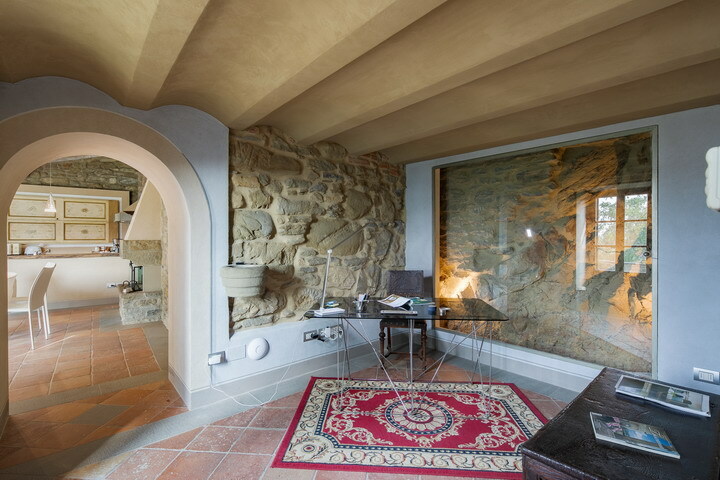 The position of the villa allows you to reach the town centre of Cortona in about 45 minutes/1 h on foot. 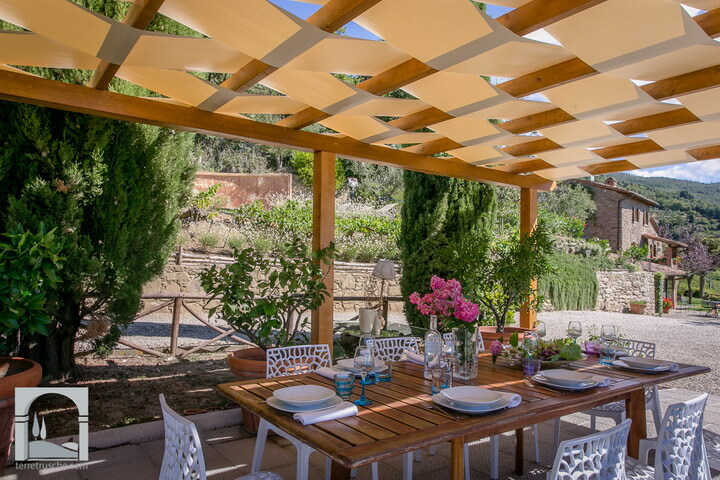 Stunning view, large and well equipped garden, complete privacy: you will fall in love with Villa Alma.